Filter:Hutech IDAS LPS D1 2"
Frames:Hutech IDAS LPS D1 2": 67x1200"
Well, I begrudgingly paid for a membership. Bugs me a little to have to pay to upload, because we're not getting any new features (yet) but we're having to pay now. I do enjoy having all my images cataloged this way with all the stats, so I opened up my wallet, and here we are. This object was a real challenge. I've been working on this image all month. Took me the entire month of January. I started using a new guide scope bracket, and I ended up getting flexure that was causing me to have elongated stars. I never zoomed in close enough to notice that they were bad, so I ended up capturing 35 hours of data that I couldn't use. You just can't imagine how devastated I was to lose all those subs. So after I realized my mistake and switched back to the metal bracket, I started getting good stars again. So ever since, I've been re-shooting everything I had lost. This is also the debut image of my new field flattener. Its an FF6 from Stellarvue and the results are amazing! I can now use 100% of the starfield when I do full-image HFR readings on my images in SGP. 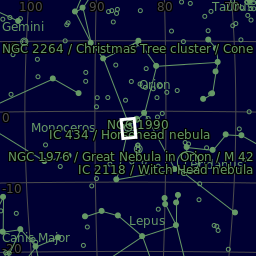 So my focus should be more accurate now that I can get focus on stars that are not elongated. And of course now I can think about getting into mosaics.